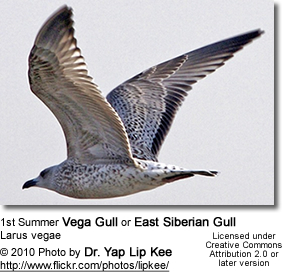 The East Siberian Gulls (Larus vegae) - more commonly known as Vega Gulls - breed in north-east Siberia - and, on occasion, in Alaska - and winter in Japan, Korea, south and east China and Taiwan. 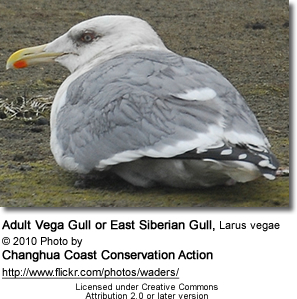 Some vagrants have also been recorded in Washington State and California, USA. 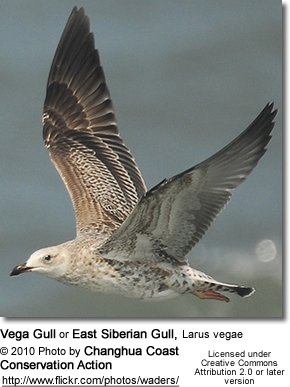 To learn more about the Vega Gulls, please visit the Vega Gull species page.